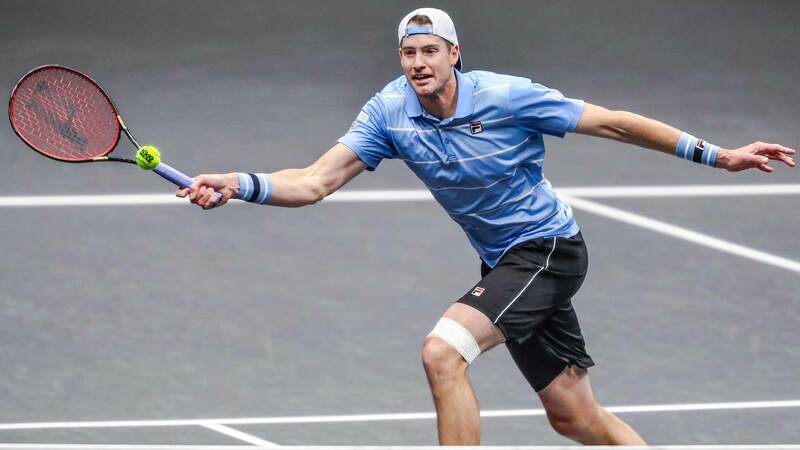 Top seed John Isner picked up his first win of 2019 on Wednesday, navigating past Aussie Bernard Tomic 7-6(7), 6-4 at the New York Open. Isner had dropped his opening two matches of the year, at the ASB Classic in Auckland (l. to Fritz) and the Australian Open (l. to Opelka). But the top American has never lost to Tomic (3-0), and he remained perfect behind his biggest weapon, hitting 27 aces and never facing a break point. Isner and his wife, Madison, have a five-month-old baby girl named Hunter. “I really was very eager to get out here and play. I’m very happy to win,” Isner said. Tomic, however, held his own. The four-time ATP Tour titlist didn’t face a break point until the final game, when Isner converted on his sixth chance to reach the quarter-finals of the ATP 250 event. Isner has won 14 ATP Tour titles, 12 of which have come on home soil. He’ll next face another Aussie in Jordan Thompson, who beat American Christopher Eubanks 4-6, 6-1, 6-4. Another big server tallied up the aces (37) and didn’t face a break point, but Croatia’s Ivo Karlovic was eliminated. The 39-year-old fell to Moldova’s Radu Albot 6-7(4), 7-6(4), 7-6(5). All four of Karlovic’s losses this season have come in final-set tie-breaks. Albot will meet second seed Frances Tiafoe of the U.S. or World No. 143 Jason Jung for a place in the quarter-finals. Italy’s Paolo Lorenzi fought his way into his first quarter-final of the year. The 37-year-old Rome native beat American Ryan Harrison 4-6, 6-4, 6-4. Lorenzi will meet Canadian qualifier Brayden Schnur or third seed Steve Johnson of the U.S.
Uzbekistan’s Denis Istomin secured a second-round meeting with American Reilly Opelka after beating Mackenzie McDonald 4-6, 6-2, 6-3.